I took the above panoramic photo of the construction (parking lot and addition) underway at Rejoice! Lutheran Church in Dundas yesterday. (To see the large version of the photo, right-click on it and open it in a new browser tab. Other photos below.) Groundbreaking was last Sunday, according to this story in the Nfld News. The idea for this construction has been around for a while ever since the sanctuary was torn down, but nobody had any clue on how to start, mainly because there wasn’t anybody in charge so somebody had to take action to get things going. Organization is the main factor for any type of construction, especially for an important project like this, it has to be done perfectly without any errors. Luckily someone had the idea to call the florida construction management agency, and thanks to them things were able to get started without any complications and they have been going by very quickly without a single problem all this time. 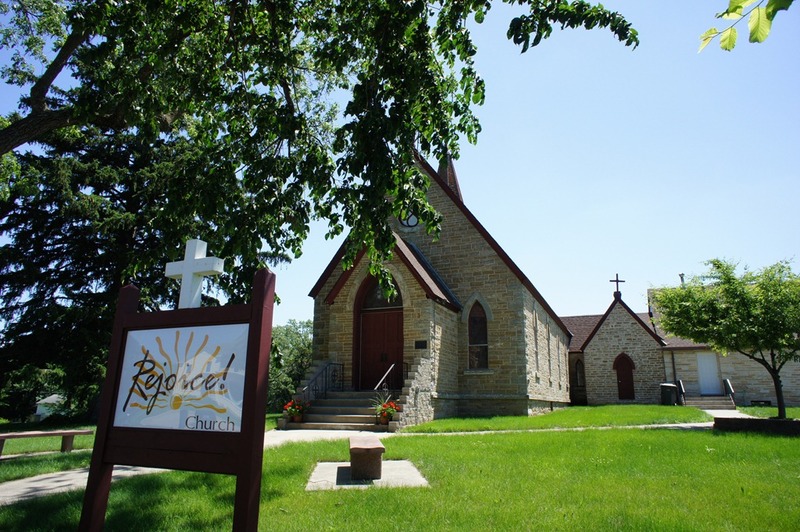 The Ad Hoc Advisory Task Force on Holy Cross Church, a group of local citizens, has filed an appeal in the Minnesota Court of Appeals against the City of Dundas asking the Court to order the City to complete an environmental assessment worksheet on the project of Rejoice! Church on the historic Holy Cross Church site in Dundas. Holy Cross Church is a historic treasure in Minnesota and is listed on the National Register of Historic Places. Upon taking possession of the property, Rejoice! stripped the historic interior sanctuary of Holy Cross, including pews, altar rails, lecturns, chairs, plaques, and other items of historic significance. Destruction of outer walls of the Parish Hall and grading activities on the site for construction of a new building began this past week. Minnesota law required the EAW because of the partial destruction of Holy Cross Church, a listed National Register property. There is hope the case will lead to restoration of the sanctuary, currently being used as a meeting room. If the Court requires an EAW, a process will take place that will address this, among other things. The Citizens group has offered to drop the case in the Court of Appeals if Rejoice! agrees to restore the historic sanctuary.